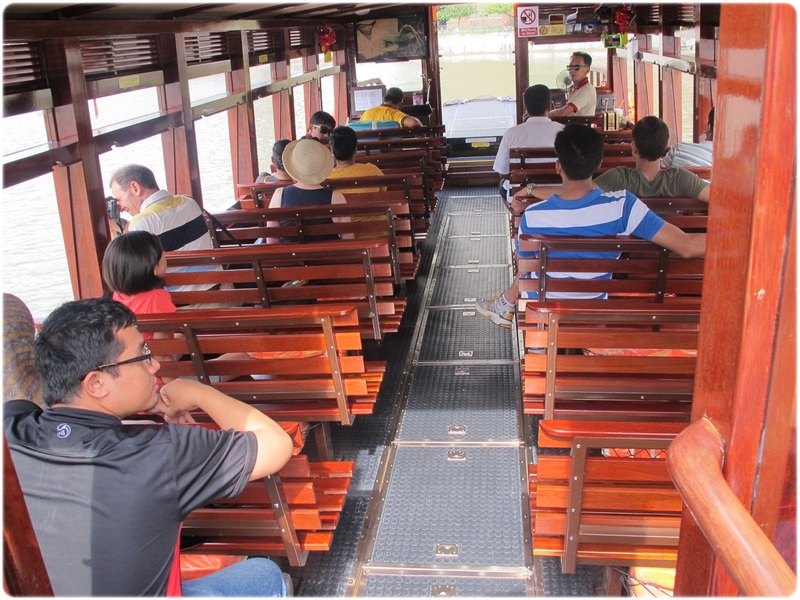 So a couple of months ago I saw a good deal on http://www.deal.com.sg for Singapore River Cruise. 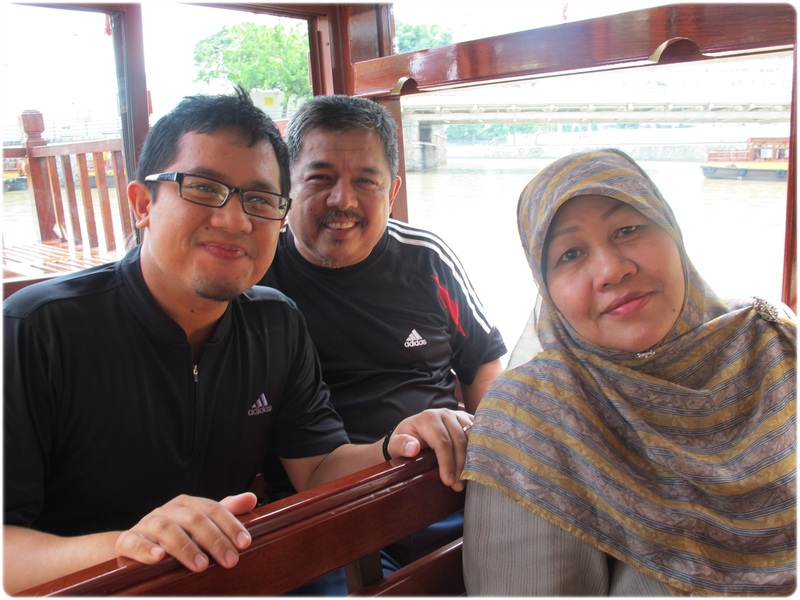 Honestly, I have never been on the Singapore River Cruise even though I have lived in Singapore all my life. I am pretty sure I am not the only Singaporean who have never been on this cruise. You see, Singapore is a tiny island and by the time you are in your teenage years, you will realised that you have been everywhere in Singapore so there was no need to be on a cruise like this to see Singapore. 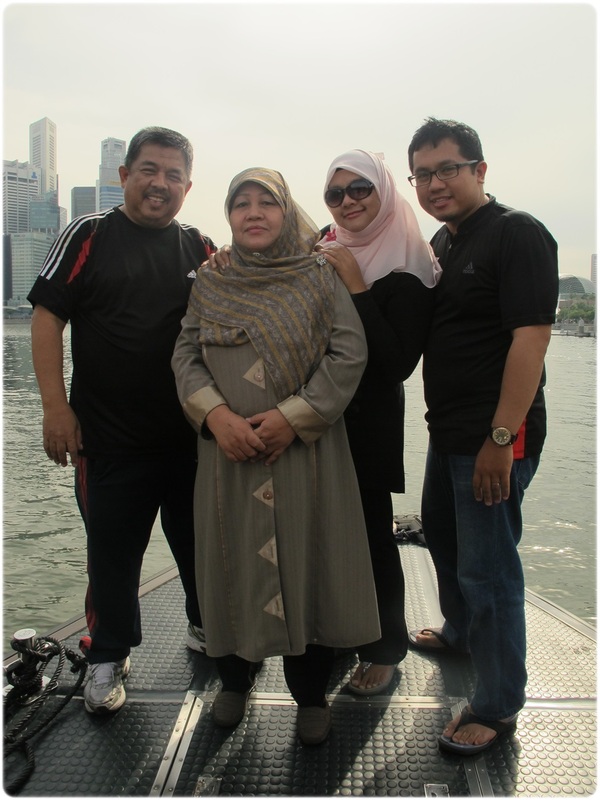 However, for the fun of it, I decided to purchase the tickets for the family. I thought it would be a good idea to bring them out, see the ‘transformed’ Singapore as well. So we parked the car near Liang Court and wait to board the boat. I think we were the only locals there. 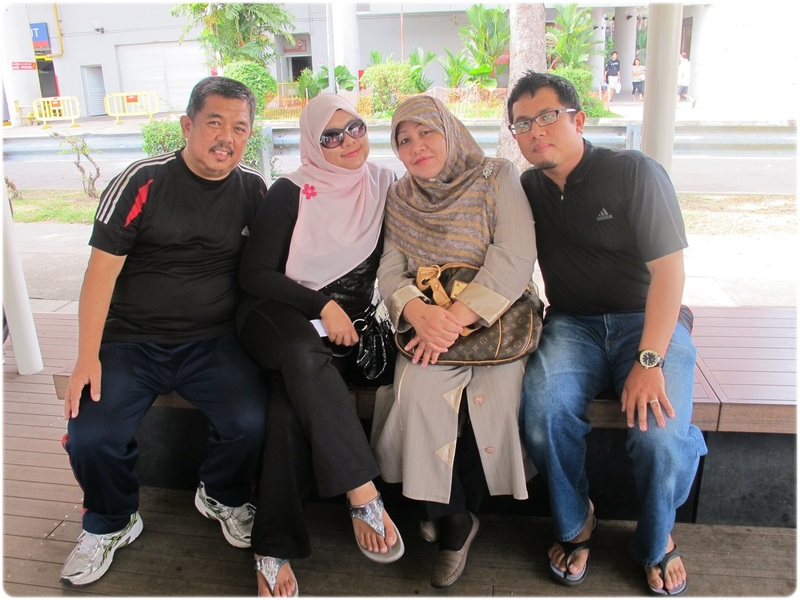 Do we look like tourist from Brunei or Malaysia? Lol. Boarding the boat! We were actually pretty excited. Lol. Actually the scenery is not bad and the weather was not too hot as it was cloudy. This cruise will take 45 minutes and you will get to see the main heart of the city. 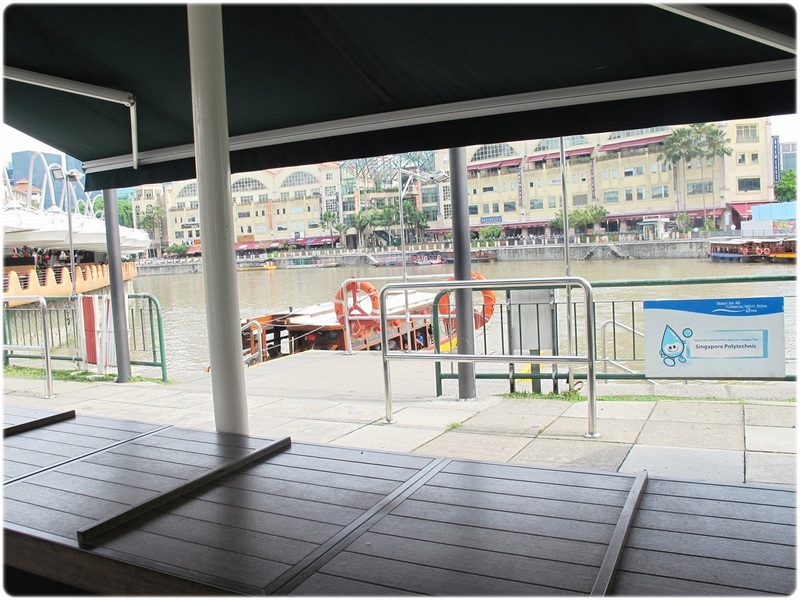 You will see the CBD (office) area and some of the historical landmarks in Singapore. I will recommend that you sit on the porch of the boat so you can see the view clearly. 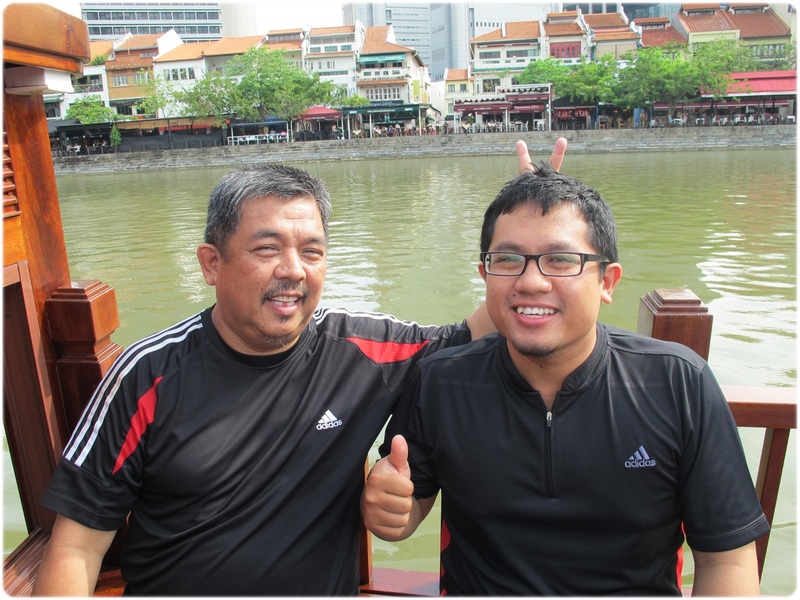 You can also take dorky photos like this with Singapore’s Clark Quay as the background. Hahaha. 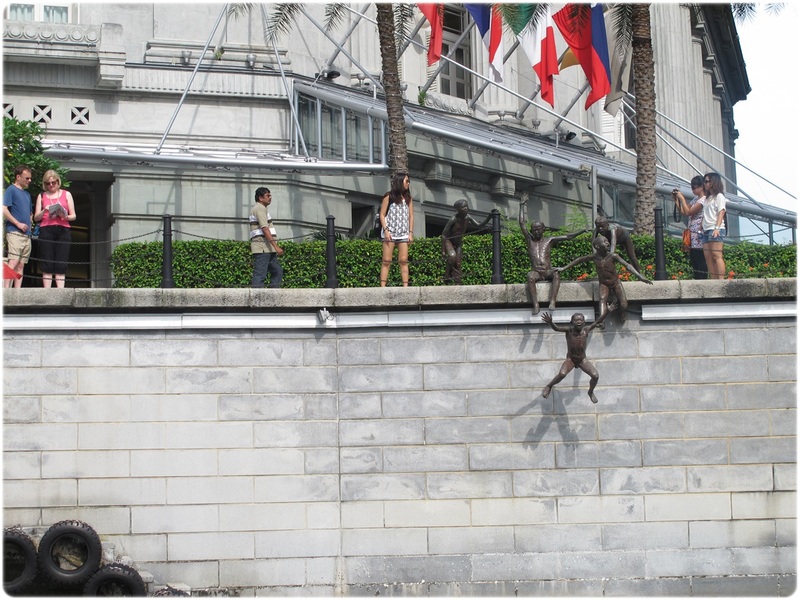 Looks like some kid were playing and jumping into the river. Can you spot them? 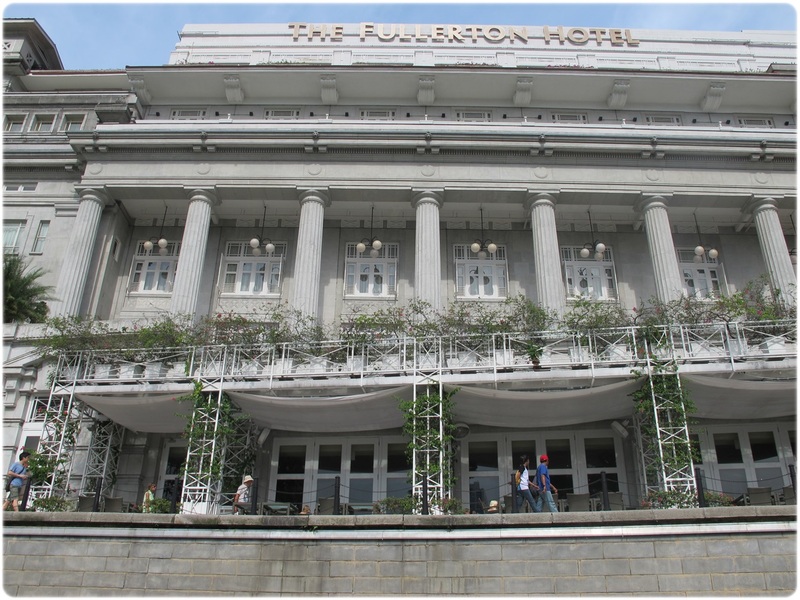 The Fullerton hotel is one of the most expensive luxurious hotel in Singapore. Its rich heritage and its strategic location is often the main reason why business travellers choose to stay here. 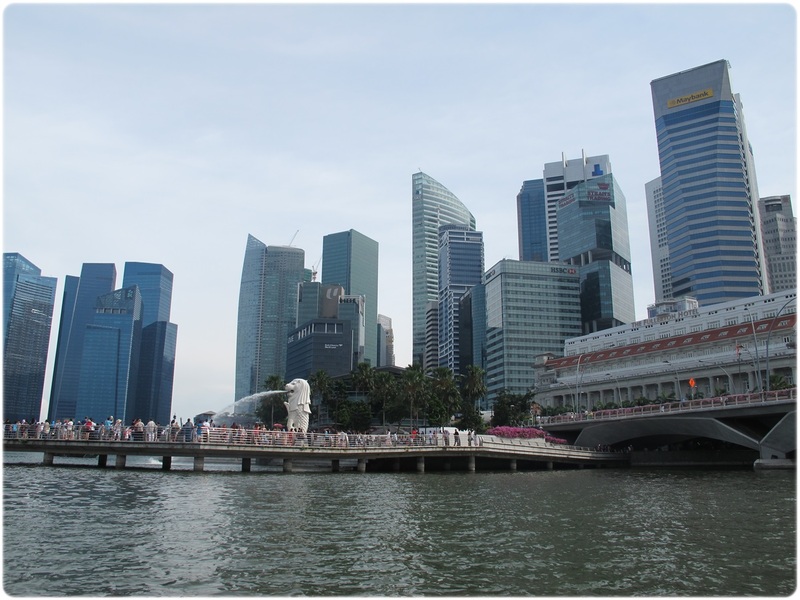 The Merlion has been squirting out water from its mouth since donkey years. It must really be tired. Beautiful scenery. 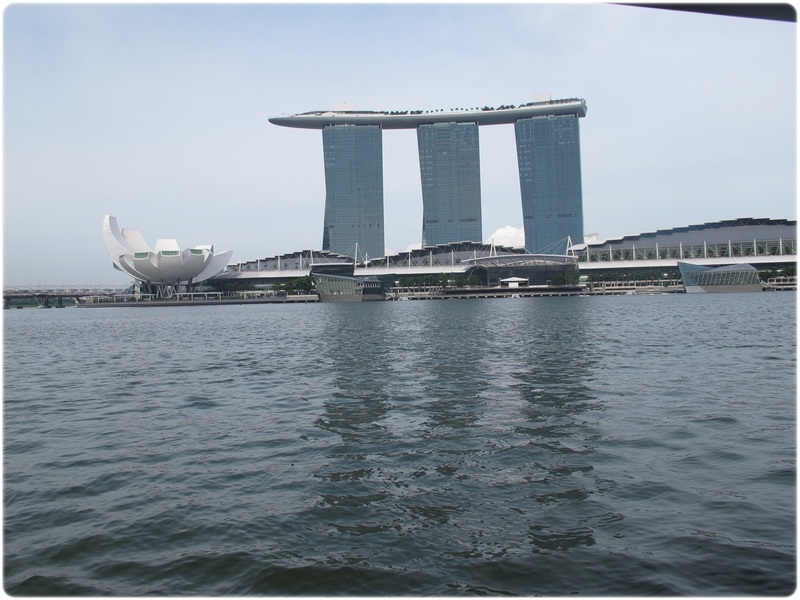 We sometimes forget to appreciate them..
Another significant landmark in Singapore is the Marina Bay Sands. The infinity pool on the rooftop is amazing. 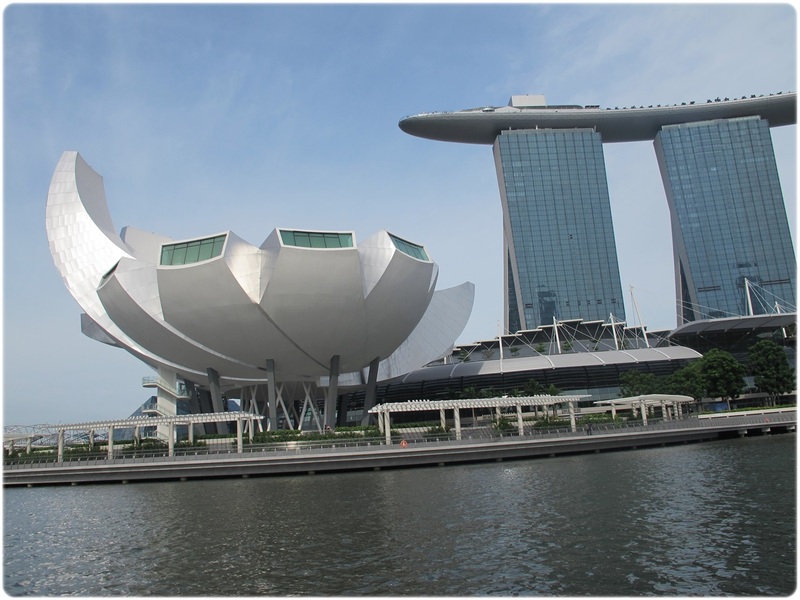 You will also be able to view half of Singapore from the roof of Marina Bay Sands. Its a must stopover for tourists. The boat moves really slowly so that you can take photos. 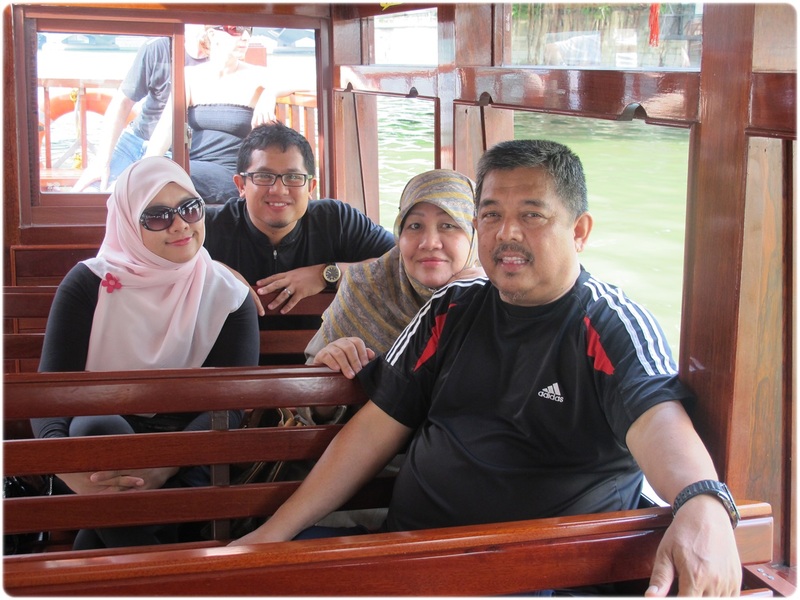 Here is our full family photo on the boat, thanks to the Mr Boatman who thought we were tourists. I think he really likes taking our photos. He even offered to take multiple shots of us. Lol. Since our country is pretty small, there may not be that may places of interest for tourists. Which is why, if you are here for the first time, you should not plan to stay here for more than a week. Unless, you are here to explore the food! Since we are a multi racial country, we are rich in our flavours of food. Its almost impossible to taste everything in one trip. My cousin from New Zealand can vouch for that. Lol. There is just so much choices of great food in Singapore, I have dfficulty even choosing them to feature here. Food is the main reason why, we Singaporeans find it so difficult to stay slim. My recommendation is for you to try the different type of food that the different races here eat everyday. We consist of chinese, malay and indians and a typical Singaporean can usually eat all the different food from all the 3 main races. Of course we do have western food here too but why not try something different right? 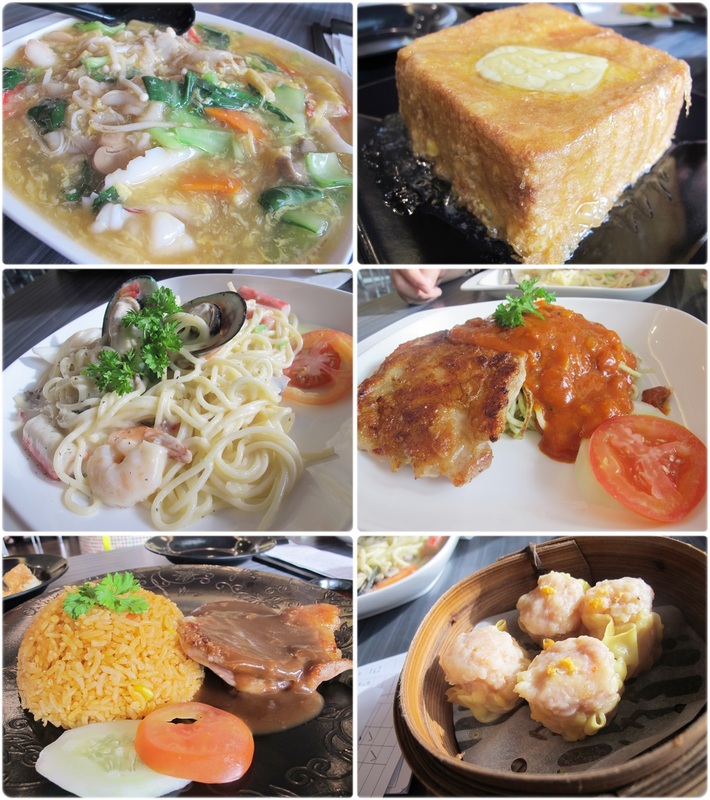 The food above is from Streats Hong Kong Cafe in City Square Mall. 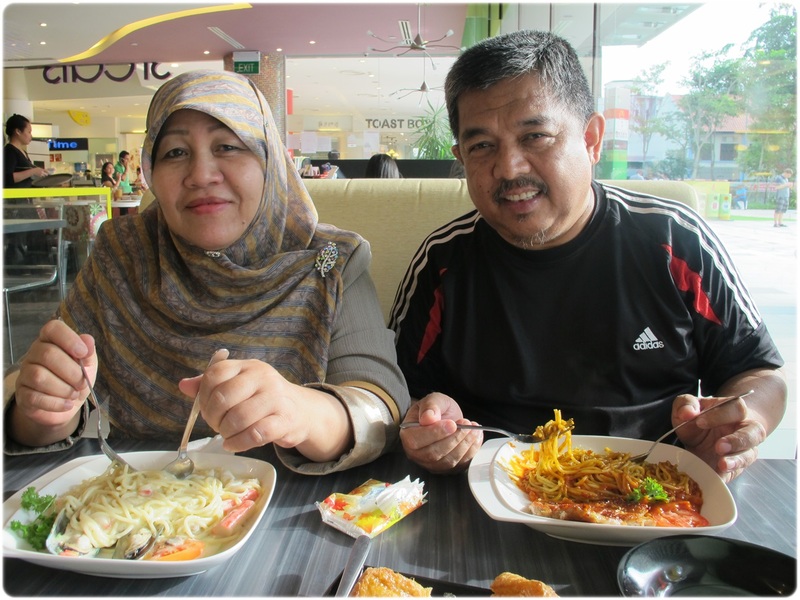 It is halal so that was why I chose to bring the family there for dinner after the cruise. If you are a foodie lover, I think you will enjoy your stay in Singapore very much! This is my first entry on Singapore, since I realised that most of you reading this are not from Asia. I will write more about the food here in Singapore soon.